I’m not sure why but this post is the one that keeps getting bumped to the bottom of the pile. Time and time again this is the post that gets discarded and ignored. Why? I’m not really sure. 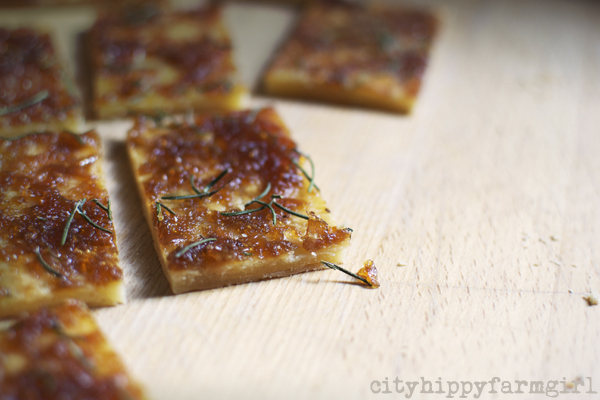 I love the caramelised onions, I love the tart and have made it several times now, so why do I keep bumping it off? One of the many mysteries of the blogging world I suspect. Not today though. Not today will I bump it off in favour of a shinier post. Today I will keep typing and press publish. It’s the right thing to do. How about you? Do you have a blog post that for 547 reasons, has yet to see the light of day? Mix together. Quick knead on a floured surface until a dough ball forms. Cover with clingwrap and pop in the fridge for about an hour. Cut ball of dough in half and roll out to the shape you want. I rolled out to a rough rectangular shape 1/2 cm thick. Prick with a fork all over and into the oven for about 15-20 minutes or until golden at 200C. While that’s cooking make the onions up. 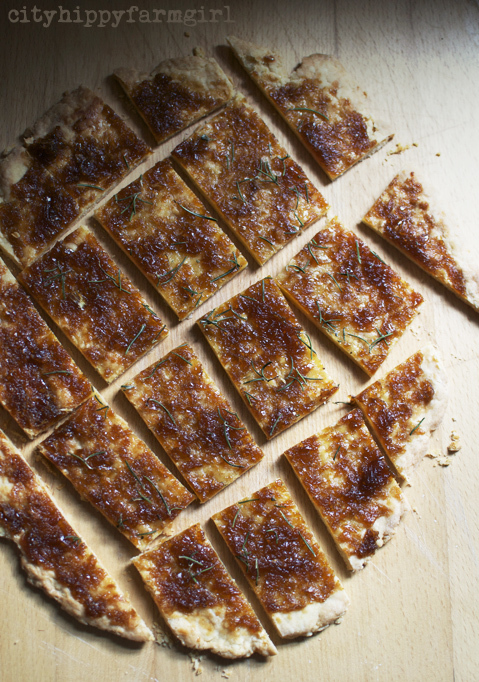 Spread the onion mixture over the cooked pastry, add some fresh rosemary. Back in the oven for 10 or so minutes at 200C. Cannoli had been on my ‘to do’ list for a couple of years now. 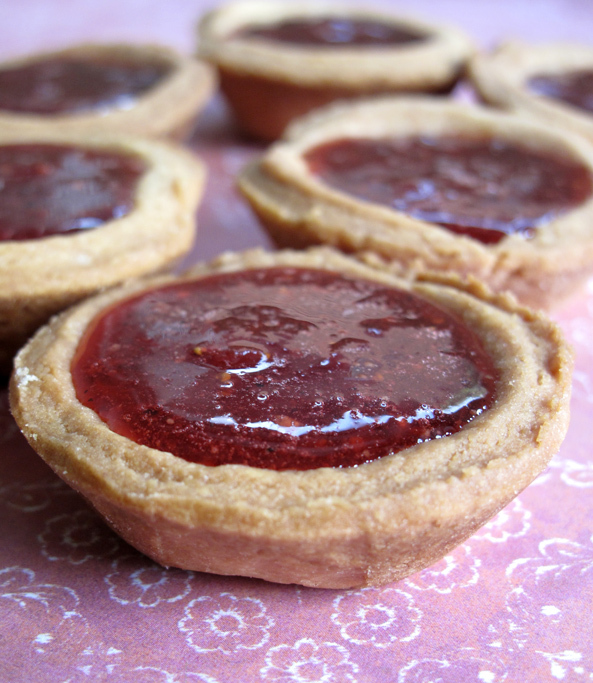 Those tasty little Sicilian pastry desserts, with a crispy outer shell and sweet soft goodness inside. 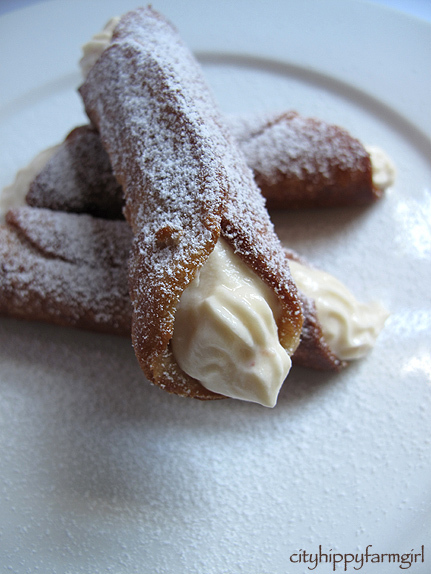 Ricotta, mascarpone, custard fillings…mmm, there is a lot to like about cannoli. A whole lot. Now when the lovely Joanna from Zeb Bakes sent me some cannoli moulds, well it was a sign, wasn’t it. 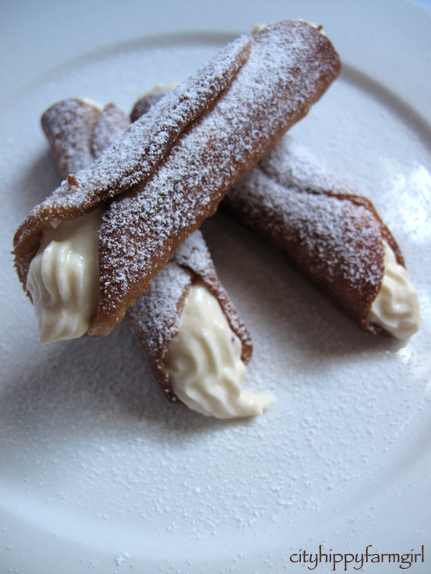 It was time….it was cannoli time. But which recipe to try? On the internet there were so many to choose from, I couldn’t decide, so after reading about twenty different recipes, it was back to hack baking again. I played. Maybe not the wisest choice considering they were supposed to be a little tricky, but my choice none the less. So, below is how I did it. These are not perfect. They’re good, but not perfect. They need tweaking, so they will definitely be made again. The pastry was good, (smelt fantastic with the marsala in it) but I didn’t get that complete crispness that I was after. I’m not sure if it’s because I didn’t deep fry them, only shallow fried them, and I did have a bit of trouble getting the right temperature of the oil to cook them in. Or it was the pastry after all? I liked the mixture inside, (it’s mascarpone right, and we’re friends from waaaay back.) The jam added was a little taste tweak, which worked. I would have added some lemon zest as well, but was all out. Next time though. And yes, there most assuredly will be a next, cannoli time. In a food processor, pulse icing sugar, butter and flour. Until it looks like bread crumbs. Tip out to a bowl and add marsala and beaten egg. Mix, and bring together quickly with one hand. Form a ball, cover in cling wrap and pop in the fridge over night. 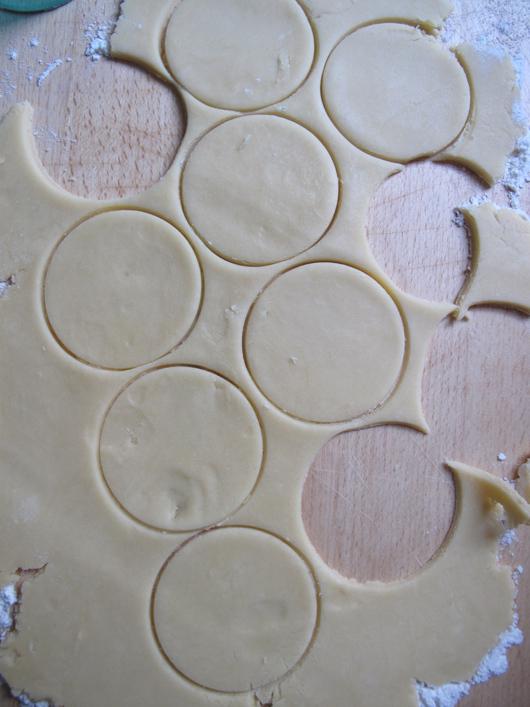 Next day, roll out in circles as thin as you can get without tearing, cutting circle sizes to fit cannoli molds. 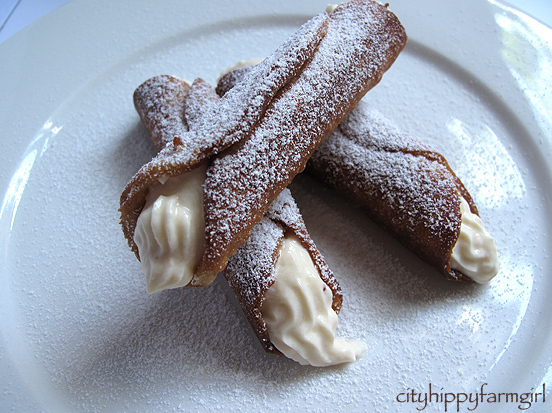 Lightly oil cannoli molds with vegetable oil, (just the once is all that is needed.) Wrap the dough around and cook in oil until golden. 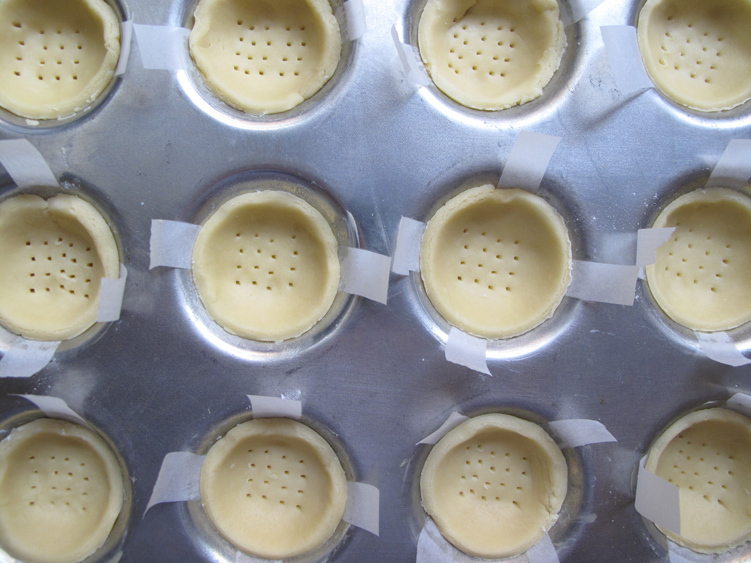 Pull mould out while still hot/warm, (as if it’s cold it will get stuck.) Allow to cool on a rack. Whip it all up, for a minute or two and then pipe. One side and then the other. Only pipe the mixture just before serving. Dust with icing sugar. Unfilled cannoli shells will last for about a week in an air tight container. Not in a fishnets, leather and red stilhetto kind of way. More eye squinty, and lip smackable. Just the way I like it. When I cook, I usually have someone in mind, with whom I’m trying to appeal to their taste buds. Fried rice, with all the vegetables raw and lined up on the side, that would be The Monkeys. Pasta after a really busy day at work, with floating double smoked bacon, followed by two blocks of his favourite chocolate? Well clearly that would be Mr Chocolate. This time around though, and it was all about my taste buds. 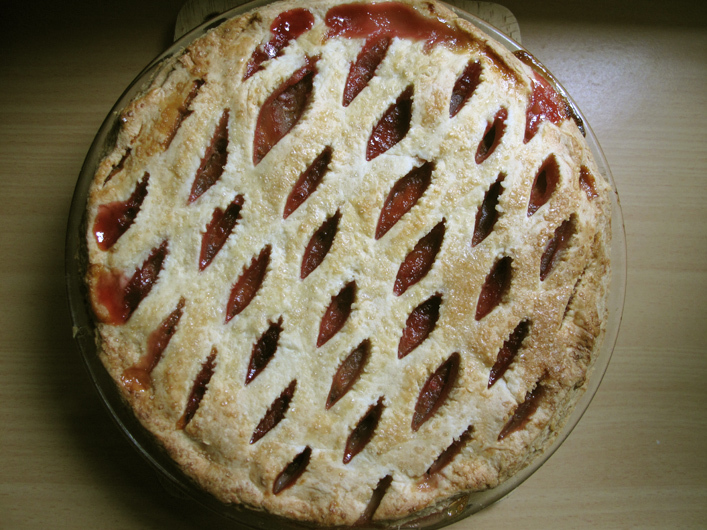 I had pie on my mind, rhubarb in the fridge and a bench full of backyard lemons that were all yelling one thing to me. Make me into something delicious! So I did. Something for me and my tastebuds. A little selfish? Oh hell no. They get enough Monkey friendly, Mr Chocolate friendly things to eat. Of course they were more than welcome to eat the tarty fruity pie in front of them, and if they didn’t like it… well, not much of tragedy there really is there? Little Monkey tried it. Monkey Boy tried it. Both scoffed it down and would like another piece please. Oh…didn’t quite make it tarty enough now did I.
Mr Chocolate tried it, and did the eye squint I was expecting from him, yep, it’s good, but you know it’s not really my thing… thank goodness for that. Now I just had to muscle the two kids out of the way for that last piece. In a processor add flour, sugar and butter. Pulse until resembles bread crumbs. Tip into a bowl adding the remaining ingredients, mix together and then give a quick knead on a lightly floured surface then cover and pop into the fridge. Trim edges, and cut into equal lengths, pop in a pot with the sugar over a medium heat, and cook until rhubarb has disolved to rhubarby mush. Put aside. Mix cornflour and water together, then add to remaining ingredients in a pot. Whisk over a medium heat until mixture thickens. 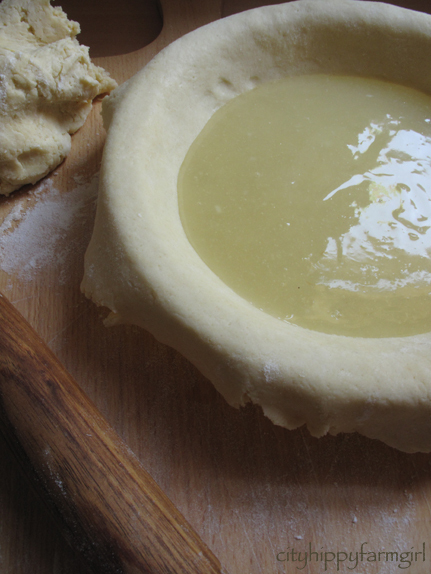 Roll out your pastry on to lightly floured bench, and then line a greased pie dish with it. Layer the lemon mixture on, then the rhubarb. 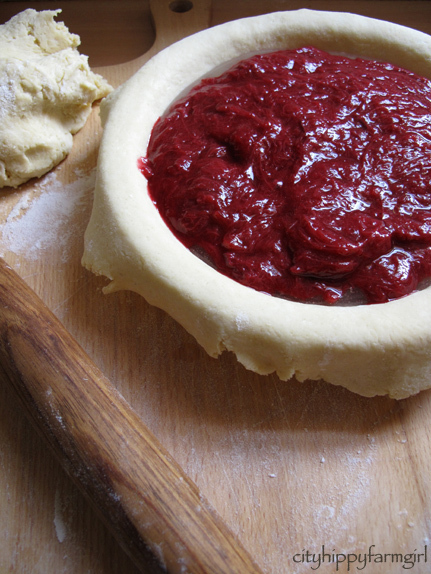 Roll out a second pastry top and slit it, gently pulling it sideways to open up a little. Press down the edges and bake at 180C for about 50minutes. 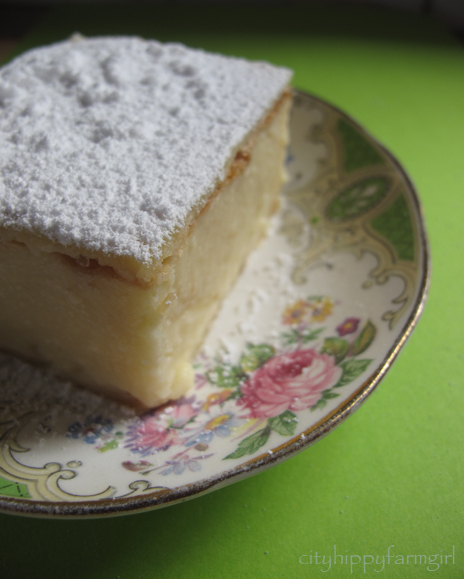 The humble vanilla slice is one of those bakery treats that I’ve always found hard to walk past. I’ve written before of my love for all things custard, with the peak of the custard love sitting right in wedged between two lots of pastry. This recipe had sat for four years in my ‘folder’, awaiting the day when I would finally give it a crack. I know the day I ripped it out of the magazine, as the date is on the bottom. Torn out from The Good Weekend, a magazine insert from the weekend paper The Sydney Morning Herald. Also, it’s a recipe from Matthew Evans. It seems I’ve been unknowingly drawn to his cooking long before I pushed him up on to my gourmet farmer pedestal. So there the recipe sat. Waiting for the right moment. I had posted about custard biscuits and a reader commented on snot blocks. 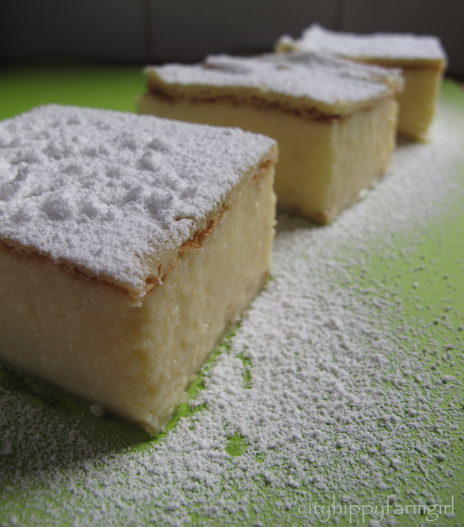 Snotblocks were otherwise known as the vanilla slice in certain parts of 70’s Australia. With the mere mention of the snot block, I was drawn back to the torn out folded recipe, wedged between the caramel mudcake and profiterole recipe. What exactly was holding me back from giving it a go? Right, get cracking girl. So I did. I even followed the recipe to the letter, every little step of it. I didn’t stray, not even a tiny tweak, (well almost). Which was very unlike me. So did it turn out? Ohhh, yes. Yes it did. 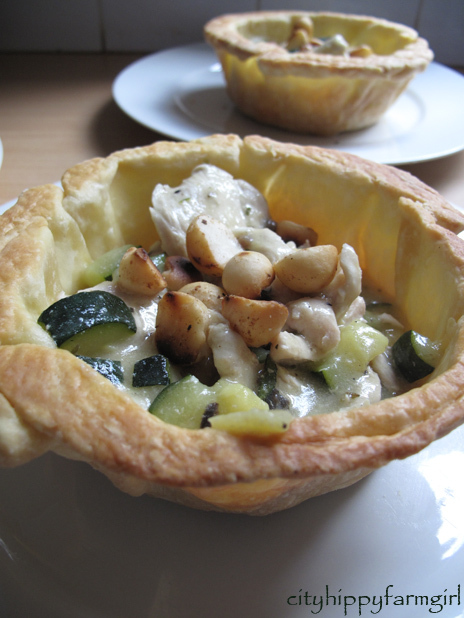 It actually exceeded my expectations as the recipe didn’t have an accompanying picture. I just crossed my fingers that it was going to work out, and kept visualising my snot block, I mean vanilla slice. So I made it, it was delicious, now where’s the recipe? This was where I came a little undone. I had followed the recipe to the T. No adaptations, no deviations, no tweaking and definitely no hack. There was no evidence of the recipe online, the magazine isn’t even on line, so I couldn’t really give credit where it was due. I didn’t want rip off the magazine I’d been reading for the past 20+ years and I didn’t want to rip off Matthew Evans. I ended up asking a Good Weekend editor what to do, and some emails were sent back and forth without any conclusion being made. Maybe I was too small of a blog to be bothered with and maybe they just weren’t sure either of what to do? I read David Lebovitz’s post on recipe attribution, then I read it again. Just when I had decided to let it all go, approval came through. The recipe was given the nod as long as it had all the appropriate acknowledgements. Oven on to 220C. 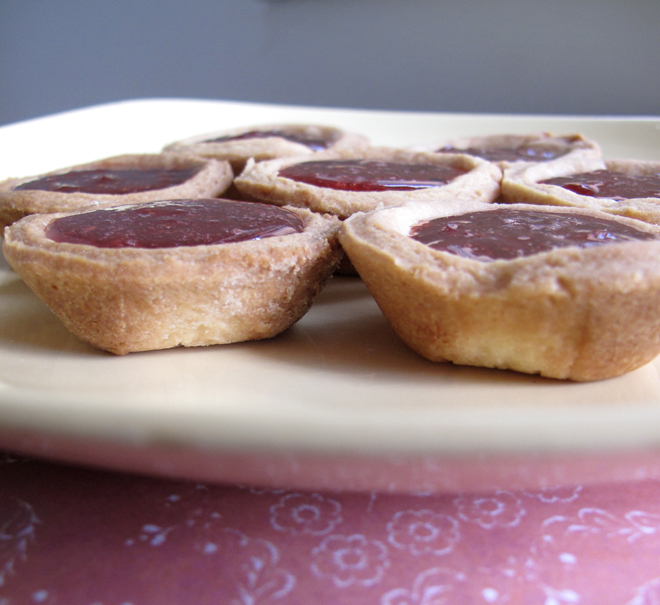 Pop the pastry on to baking trays and prick all over with a fork. Use something with some weight and it can go on top of the pastry to stop it from rising, just use some baking paper to prevent sticking between it, (I just used a spatula to flatten it half way through cooking). Bake 15 minutes or until golden brown and cooked through. Cool and trim pastry to fit 22cm square cake tin (or something similar). Line the tin with a strip of baking paper to lift the slice out once it is set. 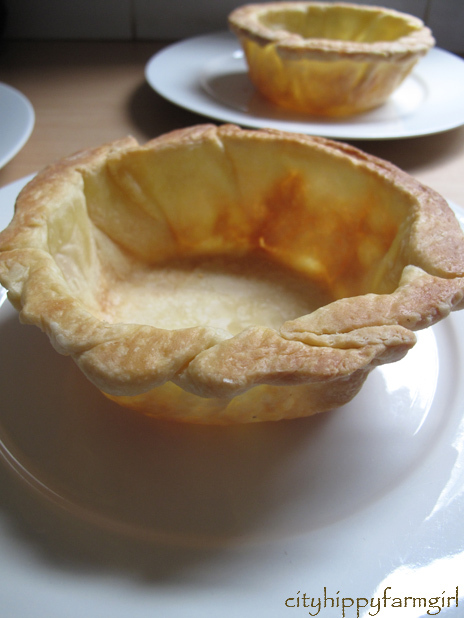 Pop one piece of the pastry in the bottom. For the custard, add a little of the milk with the cornflour to dissolve. In a pot, heat the remainder of the litre of milk with the butter. While it come to the boil, crack the eggs into the cornflour paste, tip in the sugar and whisk until smoooth. Whisk in the milk, and then return to the heat in a clean pan. Whisk continuously until the mixture comes to the boil and simmer for 1 minute. 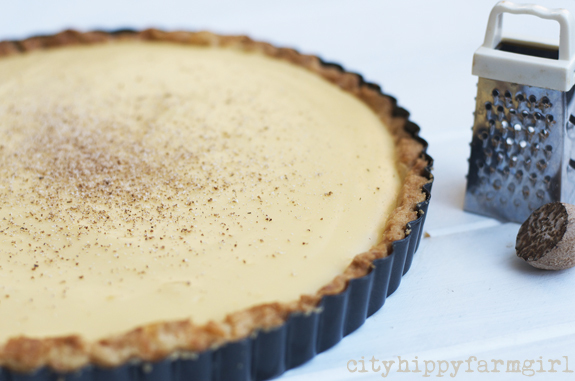 Remove from the heat, add the vanilla, then tip the custard into cake tin. 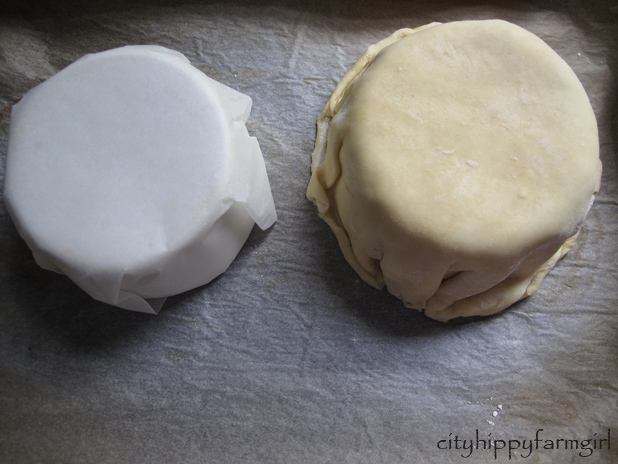 Top with the other piece of pastry, turning it over- smooth side up. Press down and allow to cool. Next either make a barely runny icing with the icing sugar and extra milk or simply dust with icing sugar. Pop in to the fridge until cold. Remove from tin and cut into squares, wiping blade between cuts. 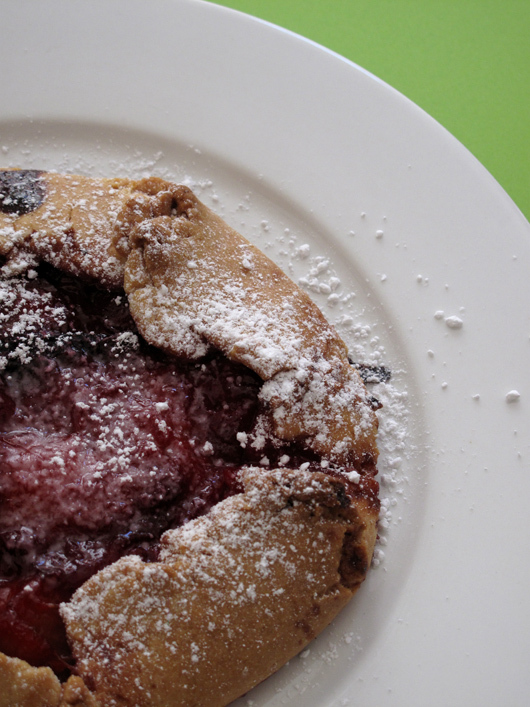 One other little thing I did do differently, was the pastry. Mathew Evans reccommends the Careme butter puff pastry or as second choice Pampas, (likening all others to ear wax). I did get the Careme, but didn’t pay attention to how many grams there were in there, so fell short of the amount of pastry I needed. I baked it as per instructions but then really carefully halved it. 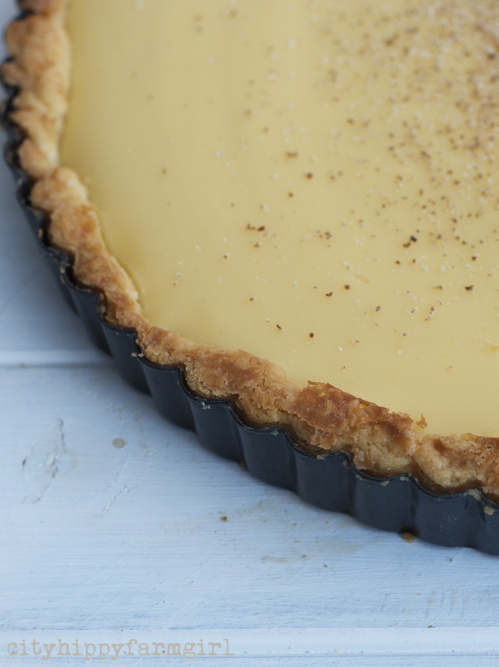 Because the pastry was lovely and obliging, it was pretty easy to do, and it was still enough pastry to withhold all the custard. Waiting, and making sure I felt comfortable with the whole re-publishing process definitely paid off. Getting approval to use the recipe on my blog without all the lip biting and frowning that was going on before, felt right. And I still love vanilla slice. 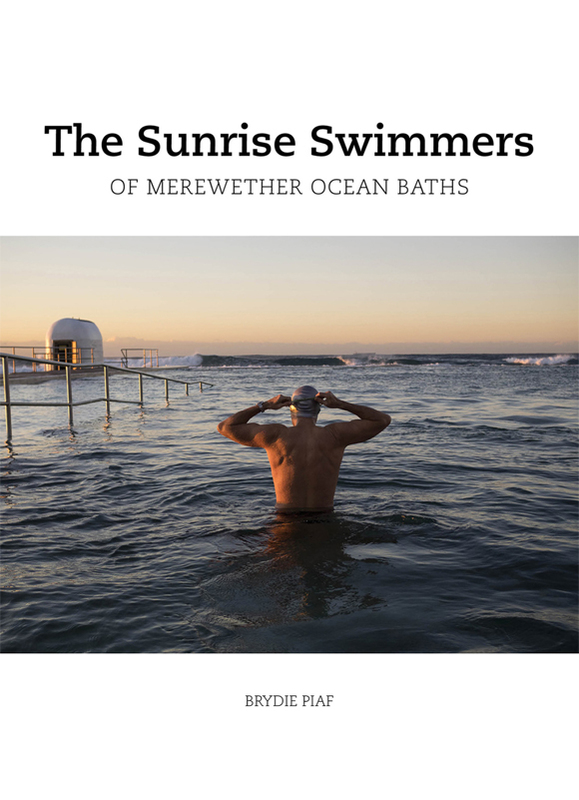 Good Weekend is a weekly magazine insert within the Sydney Morning Herald. 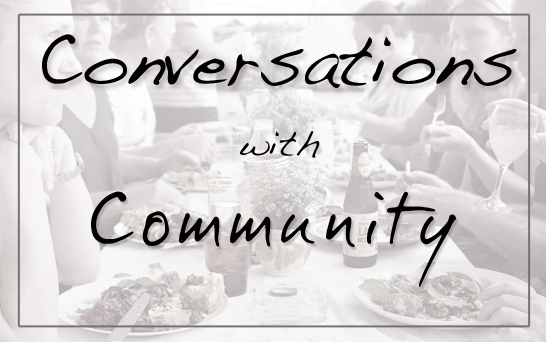 Matthew Evans is Gourmet Farmer, author of The Real Food Companion and sells via Rare Food. If you are not sure about posting a recipe, this is a really good place to start. 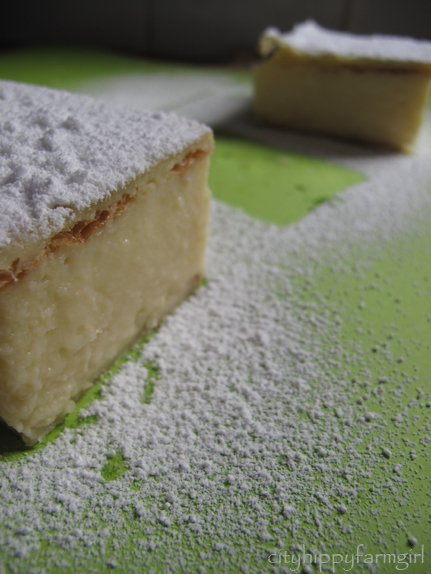 Vanilla slice sounds much nicer than snot block. 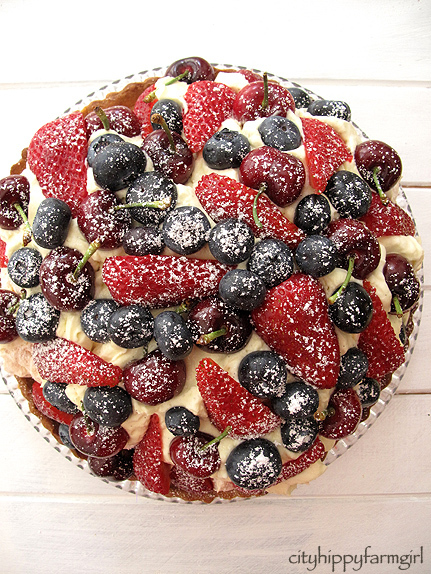 Have some pastry, and fruit? Dessert doesn’t have to be fancy to taste good. I will quite often make a double batch of pastry, so it’s always in the freezer and ready to go. For this use what ever fruit is season, or if you have a batch of fruit from last season still lingering in the freezer, then it might be time to reacquaint yourself with it. Roll out pastry, dollop on either cooked fruit, fresh berries, thinly sliced apples/sultanas/spices and then simply fold up the sides of the pastry and bake at 180C until pastry is golden. Done. Super easy, yes it is. 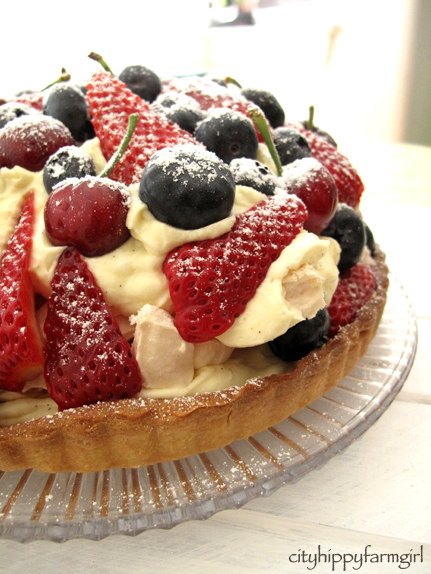 Dust it with a bit of icing sugar if you want to ‘fancy’ it up. 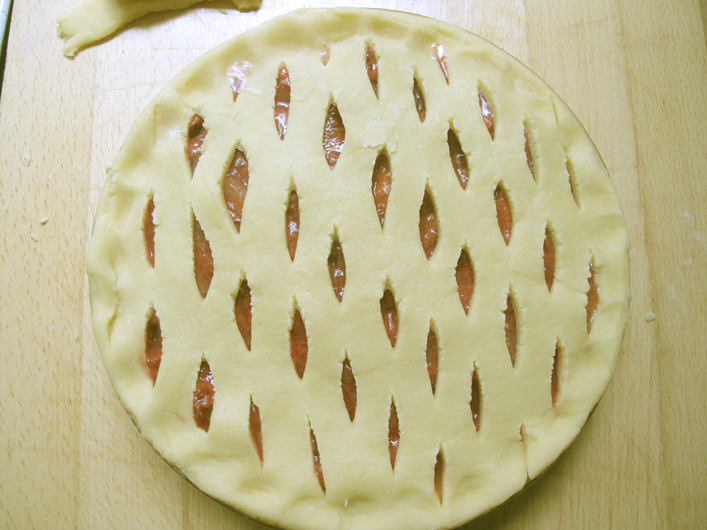 If you would like to make your pie to look a little different, but not too much extra effort, try the stretched lattice look for a pie top. First up a pastry that is not going to crumble if you look at it. In a processor add the cubed butter, flour, and sugar. Process until it resembles bread crumbs. Turn out to a bowl and add yoghurt. Mix well and then knead until well combined and smooth. Pop it in to the fridge and let it have a little rest (approx 30 mins). 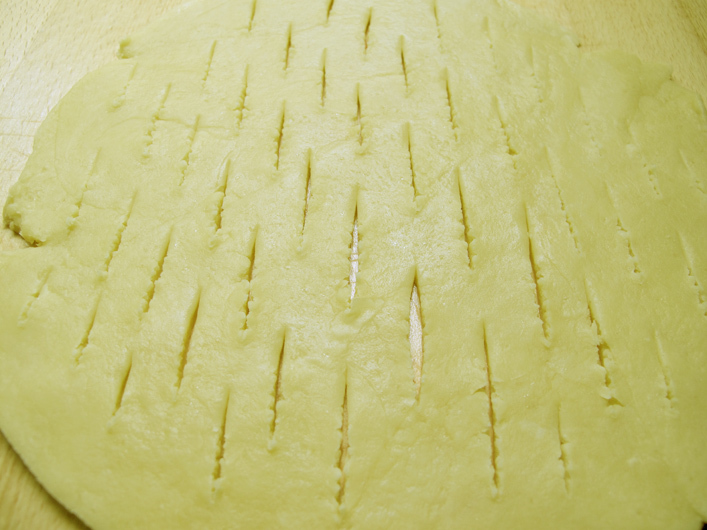 Now roll your pastry out to the thickness that you require. 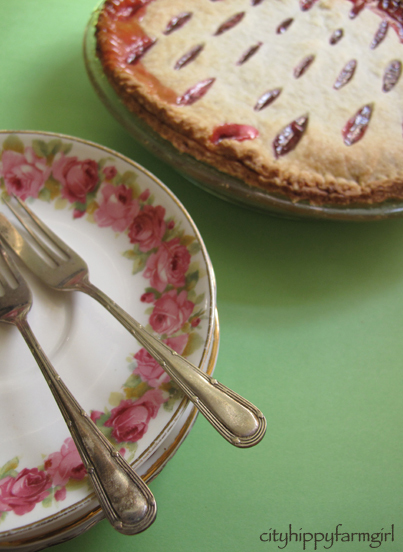 Line the pie dish, cutting any extras off. Spoon in the pie middle. 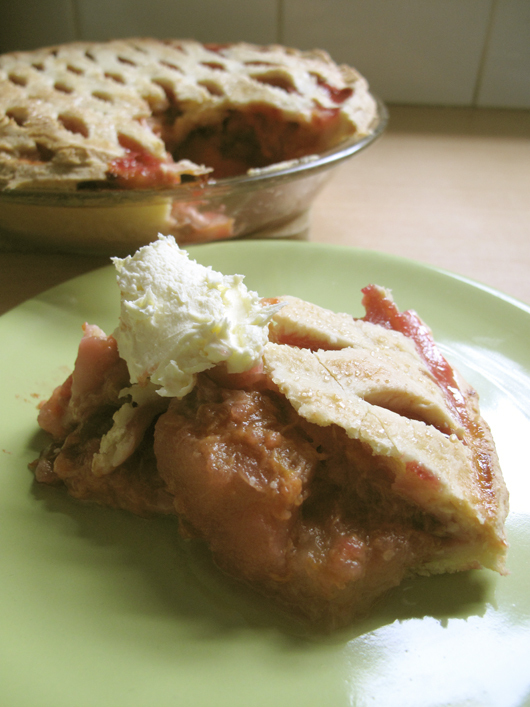 I used a plum and apple mixture but you could use anything that you have at hand. Roll out the remainder of the pastry and slit it intermittently with a knife. 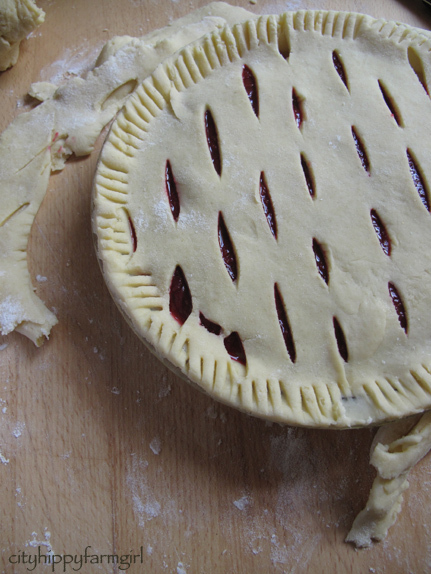 Once that is done, gently stretch the top over the pie. This stretches out the the slits, opening up the latticing. With this one I then brushed it with milk and sprinkled it with raw sugar. Bake until golden. 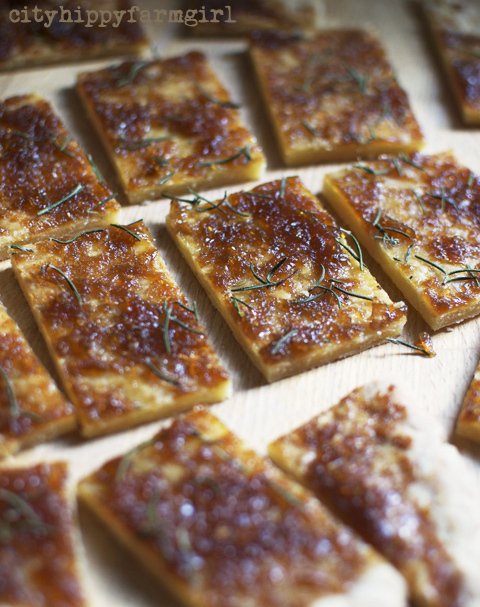 Serve with a dollop of home made yoghurt or mascarpone. 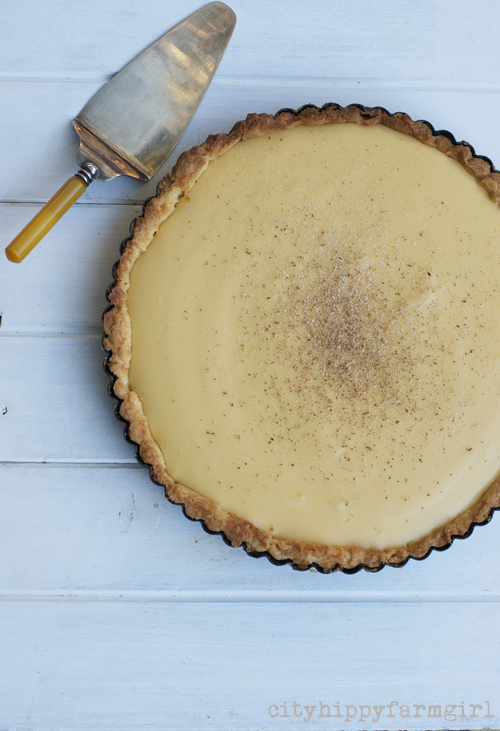 Two easy ways to make a rustic* looking pie. * Rustic meaning I didn’t spend hours making it look pretty. Still tasty and still got The Monkeys jumping up and down yelling for PIE! !